These transceivers circuit design follows a standard well-proven approach based on various design & kits available on WWW and modifications have been done .An approach has been made by combining each and every stage of circuit of Ten-tec, Kenwood, Elecraft,Icom etc for pro’s and con’s studied the design and formed a new design to give an ultimate high performance HF transceiver to Indian hams. The GEK Gold/Diamond series is a high performance Low-noise, low cost SSB HF transceiver. The local oscillator is stable DDS VFO. The Power amplifier is designed as a push-pull Mitsubishi the latest generation of 12V-30MHz Silicon MOSFET Power Transistor. The RD06HHF1 is used in the pre driver and in the push-pull stage a pair Mitsubishi RD16HHF1 were used. The quiescent bias current is set individually for each transistor with improved IMD so that cleaner signal output. The inbuilt 100watts amplifier uses a pair of RD100HHF1 transistor. This feature compresses microphone audio input to increase average audio output level. The result is that talk power is increased. The compression level is adjustable manually for your preference. This function is effective for long distance communication, or when propagation conditions are poor, gives a Commanding speech cuts through QRM with a punch audio. The analog device SSM2166 integrates a complete and flexible solution for conditioning microphone inputs it is also excellent for improving vocal clarity in communications. The IF BW control adjusts the receive center frequency bandwidth of the IF passband electronically to reduce adjacent interference. 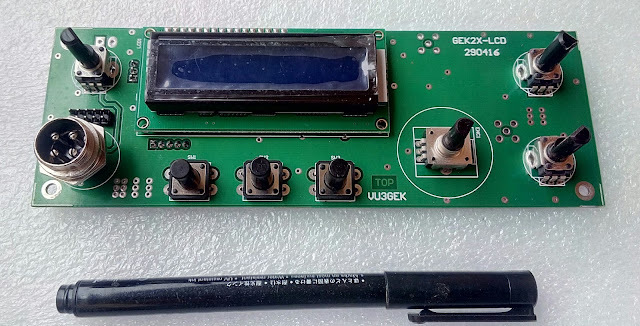 The IF gain adjusts response of receiver gain used in weak signal station reception. 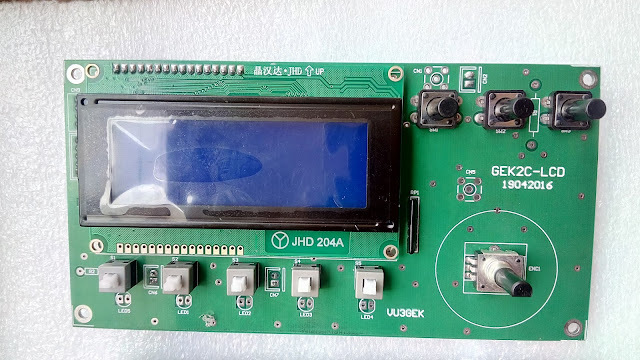 Built-in multi functional digital S/RF meter indicates signal strength level while receiving and either transmit output power, VSWR ratio while transmitting with SWR High Protection. Smooth, fast attack, RF derived AGC, if you turn AGC off then you use the IF gain control to manually adjust the receiver sensitivity. That might be something you want to do when the background noise is high. Slow AGC is usually best for SSB and AM signals when the signals are much stronger than the background noise. You might prefer fast AGC when static crashes are much stronger than the signal, causing the signal to disappear and then slowly recover as the AGC comes back after the static crash. High performance versatile audio filter that can be used to improve intelligibility of CW, phone, or data signals, Low-noise analog variable audio filter circuit used here is a low-pass filter with switched capacitors, elliptical 8th order for improved audio easily compares the reception with that of a receiver equipped with DSP filter. The GEK2-100W is a two band silver series high performance Low-noise, low cost SSB HF transceiver Kit. 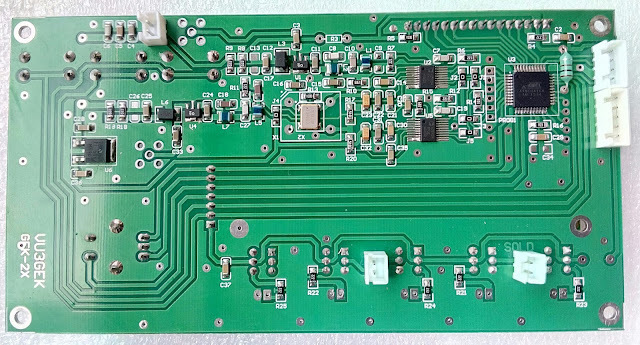 The local oscillator is a stable Digital Si5351 based VFO/BFO. 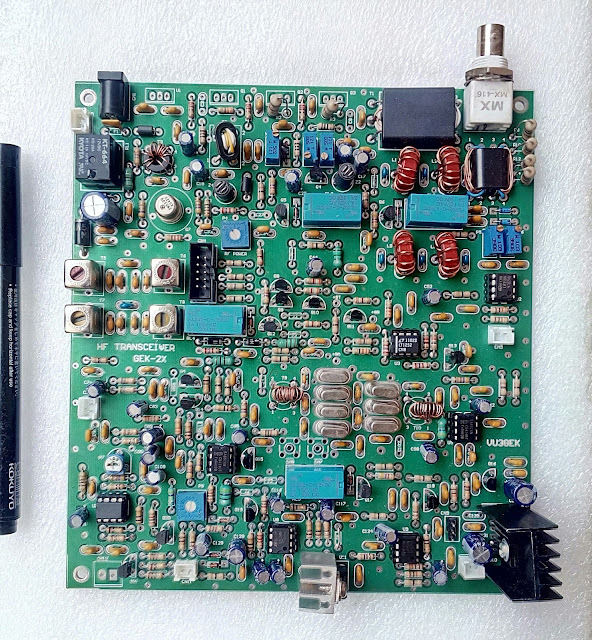 A good opportunity for new comers, home brewers to built their own HF Transceiver and put their first foot step in HF Band, available both in DIY(Do it yourself) Kit and also full tested kit. The Transceiver design follows a standard well-proven approach based on a pair of Philips (NXP) SA602 mixers, pre driver is of Motorola 2N5109, driver based on rugged Mitsubishi 2SC1969 and IRF based final 100 watts push pull power amplifier. This circuit design follows a standard well-proven approach based on various design & kits available on WWW and modifications have been done. 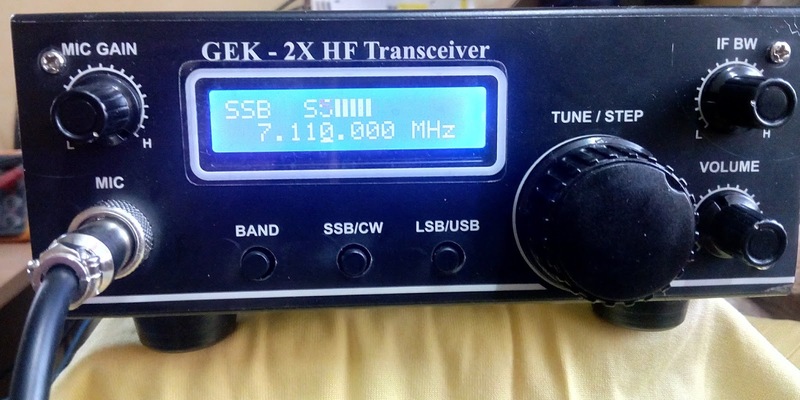 The GEK Gold series is a Mid range high performance Low-noise, low cost SSB HF transceiver. The local oscillator is stable DDS VFO and DDS BFO/Carriers oscillator. 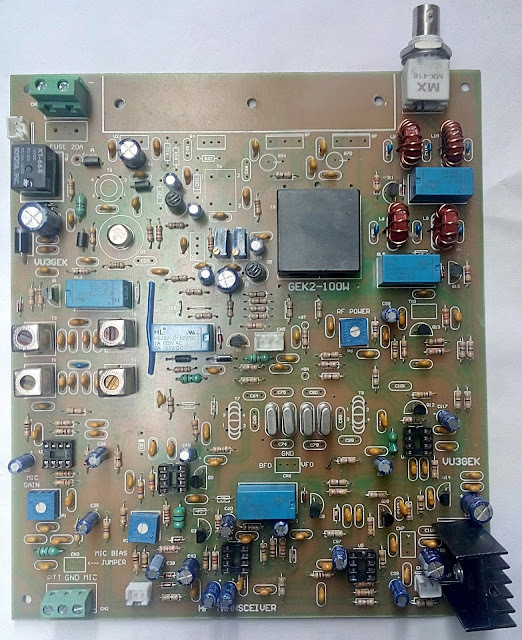 The Power amplifier is designed as a push-pull Mitsubishi the latest generation of 12V-30MHz Silicon MOSFET Power Transistor. The RD06HHF1 is used in the pre driver and in the push-pull stage a pair Mitsubishi RD16HHF1 were used. The quiescent bias current is set individually for each transistor with improved IMD so that cleaner signal output. 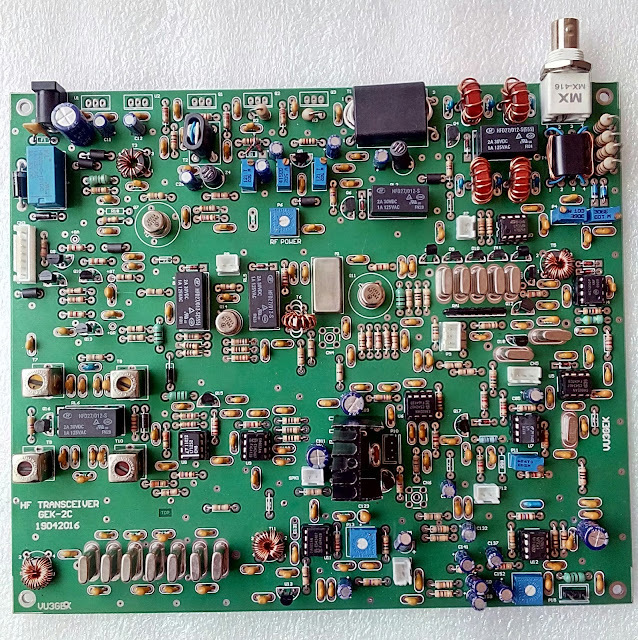 The GEK Diamond series is a high performance Low-noise, low cost SSB HF transceiver. The local oscillator is stable DDS VFO and DDS BFO/Carriers oscillator. The Power amplifier is designed as a push-pull Mitsubishi the latest generation of 12V-30MHz Silicon MOSFET Power Transistor. The RD06HHF1 is used in the pre driver and in the push-pull stage a pair Mitsubishi RD16HHF1 were used. The quiescent bias current is set individually for each transistor with improved IMD so that cleaner signal output. An approach has been made by combining the stage of circuits of Ten-tec, Kenwood, Elecraft, Icom etc. studied the design and formed a new design to give an ultimate high performance HF transceiver to Indian hams. Wonderful World of Radios. Good Luck. Great work. These are far more than a typical "home brew" stuff. Congratulations! 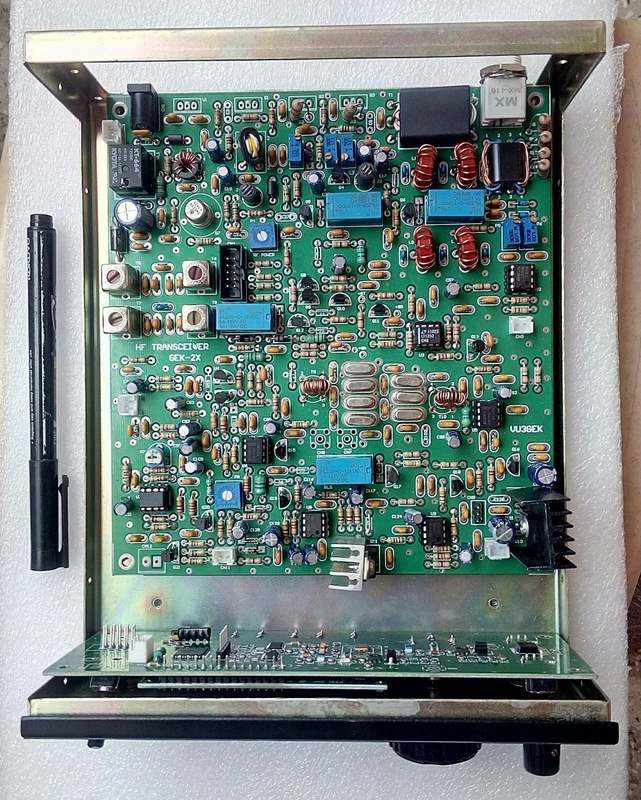 Gek-2 Gold series excellant signals, like commercial transmission heard operating by Vu2 FRD in 20 mtr. Booming! !